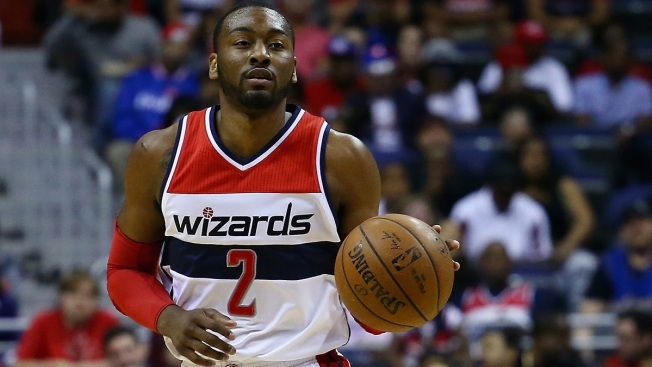 As John Wall goes, so go the Washington Wizards. With Wall showing no ill effects from offseason operations on both knees, he is averaging career highs of 23.1 points and 2.2 steals, along with third-in-the-NBA 10.1 assists, and has steered his team into the playoff picture after a terrible start. The Wizards began this season 1-5, then 3-9, but they are 25-20 heading into their game Friday night at the Atlanta Hawks. Since Dec. 1, the Wizards are 19-9, the best record in the East in that span and fourth in the entire league, trailing only the Golden State Warriors, San Antonio Spurs and Houston Rockets. Thanks in large part to a 14-game home winning streak, Washington began the day fifth in its conference -- 1 1/2 games behind Atlanta for fourth and 2 1/2 games behind the second-place Toronto Raptors. He said his knees are feeling a lot better than last season, when Washington went 41-41 and missed the playoffs. At the start of this season, Wall was under doctor's orders to sit out the second games when the team played on consecutive nights -- maybe until January rolled around. That lasted all of two back-to-backs. With the help of treatment that regularly includes stretching, a cold tub and “dry needling,” which Wall likened to acupuncture, he has been able to play a team-leading 36.4 minutes a night while putting up 26 double-doubles. Thursday night, Wall found out he was among the 14 reserves chosen by the league's coaches for the All-Star Game; it's his fourth consecutive selection. He's not winning games for Washington alone, of course: Shooting guard Bradley Beal is putting up 21.9 points per game, and small forward Otto Porter is averaging 14.2 points, 6.5 rebounds and an NBA-best 45.6 shooting percentage on 3-pointers. But there's no question who's leading the way. After watching Wall from afar in the past, Brooks -- a former NBA point guard himself -- is appreciating the up-close look he gets now. “He's done a great job of leading us. ... His shooting has improved. His playmaking. His defense. I think everything across the board is much better,” Brooks said. While it took a while for Washington to get going this season under its new coach, the improvements are striking. In their first 12 games, the Wizards ranked 19th in the league in points per game at 102.6, and 12th in field-goal percentage at 45.1. In the 33 games since, they're eighth in points at 108 and fourth in shooting at 48.3.